This section of the web site contains information about services provided by the Town Government to residents of Riverdale (such as the Public Works Department and Police). It also tells you how to Contact the Mayor & Council so you can get in touch with the people who represent you in town government. 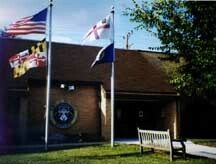 You can contact many of departments in the Town of Riverdale Park directly. This page was last changed on Wednesday, July 7, 1999. Questions, comments, or submissions? See the Website Committee web page. This page has been accessed 68507 times.